Beautiful. Yes, why not. Some people love their dogs, their motorcycles, their cars, why not their campers? Especially to hang in their camper? Thanks for the comment. People could park their dog, motorcycle, and car in front of their camper and send me a pic! I could then make a single painting of all the things the love. Heck, they could park themselves, grand-kids etc. in the pic too. I think this would be an idea that could sell. One thing to consider would be also selling a digital image that could be used on stationary or other places, like on computer desktop. Thanks for the comment. I think you are right about digital images. The option of just getting a digital image could be less expensive. The cost of printing and couriering images would be a significant expense. If I could just email then I could pass those savings on to the customer. Overall I do think for this little venture to be successful the costs will need to be low. 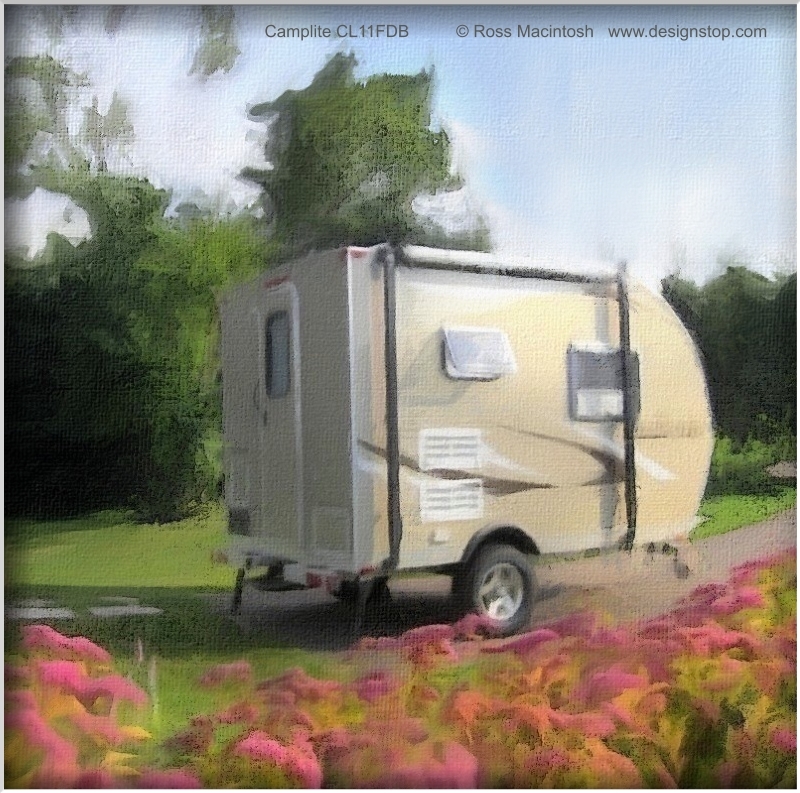 I've noticed from the rv blogs I read that the stereotype that rv folks are "cheap" does seem to have some truth. (I've seen blogs where the people go on & on not just about the relative cost of gas but also of bread & milk). Nothing wrong with being frugal but it does suggest if I want to sell to such people my product will need to be good value. Good idea, a fellow traveler and artist swankie wheels is making some extra doing pet and people pencil portraits. Awesome color combination. It will be more better if you provide a older photo of your Camplite trailer to compare the color matching. Anyway the color combination is really stunning.